A brilliant dance school and brilliant dance teacher! My daughter came home today with her 1st medal only been dancing 6-7 months, and she absolutely loves it! Diamond dance is a wonderful dance school for boys and girls . My daughter has been going here since it first opened and she loves it so much. It has given her so much confidence, and has made some wonderful friends for life, she loves performing she would never dream of leaving here its the best place. Such an excellent, friendly and welcoming dance school with amazing dance teachers. My daughter has been going for over 2 years and has had some wonderful opportunities where she has made friends for life. Highly recommended. 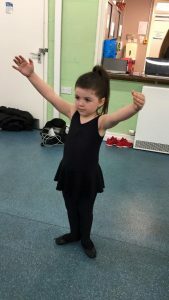 My daughter has been coming here from day one and it is a brilliant dance school with fab teachers. She has made some lovely friends there. Highly recommend!